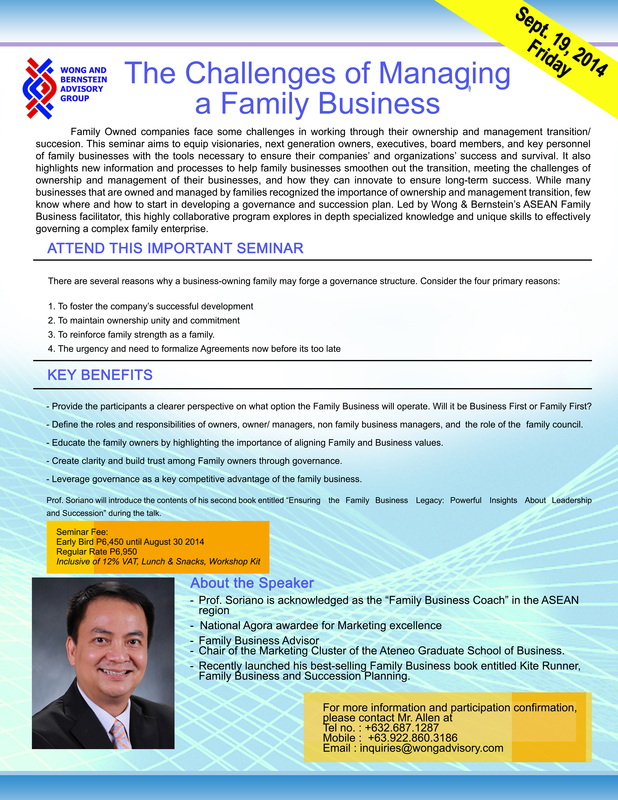 Know the necessary tools to ensure your Family Business’ success and survival! 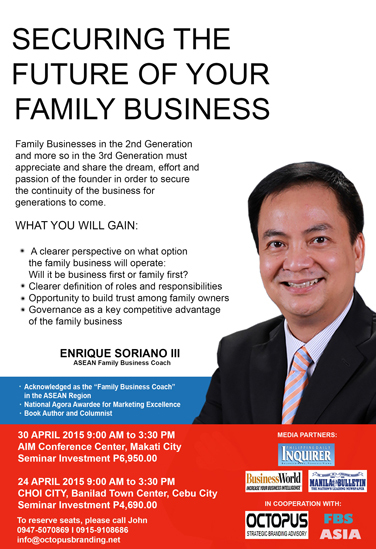 This entry was posted in Events on April 14, 2015 by erikmsoriano. 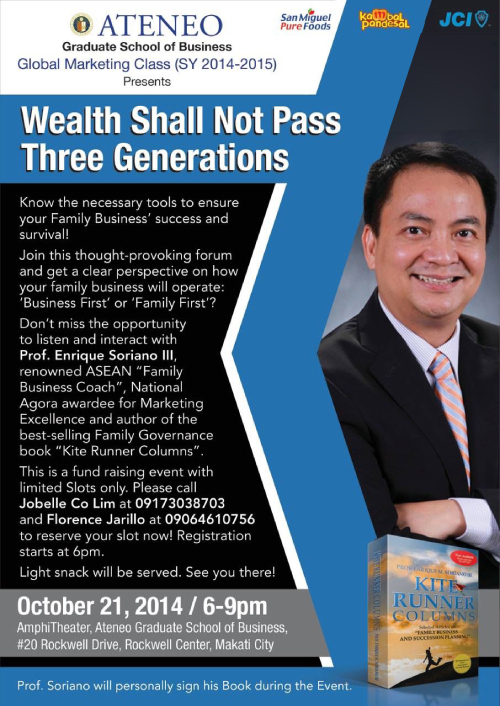 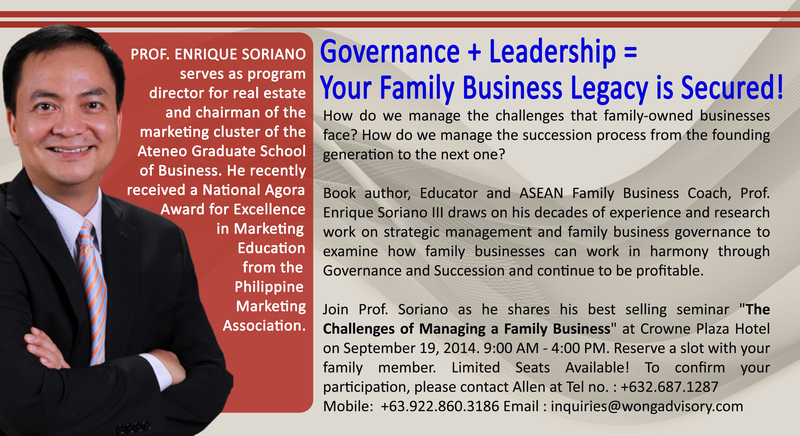 This entry was posted in Articles, Events and tagged business, business bloodline, Family Business, family enterprise, Family first, generations, Philippines, seminar, the family business, Wong and Bernstein on October 16, 2014 by erikmsoriano.